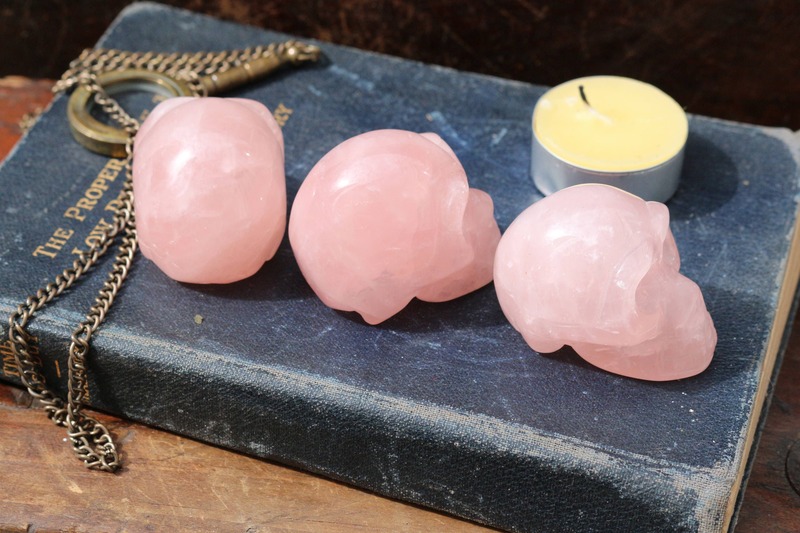 Brazilian Rose Quartz Skulls. 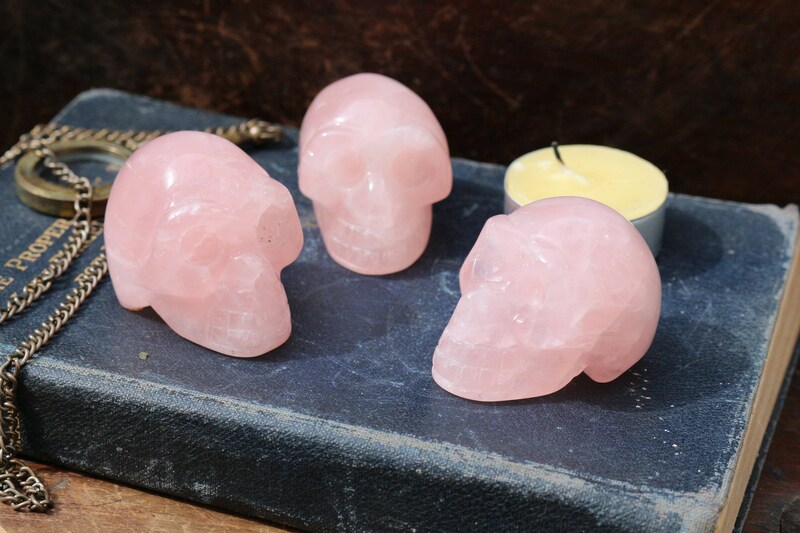 Each Rose Quartz Skull is meticulously hand-carved and hand-polished and so smooth and have rainbow refractions throughout with incredible energy! If there is a skull in the photos that you would prefer, kindly mention in the "notes" section during the checkout process. Otherwise, we would be happy to select one for you. 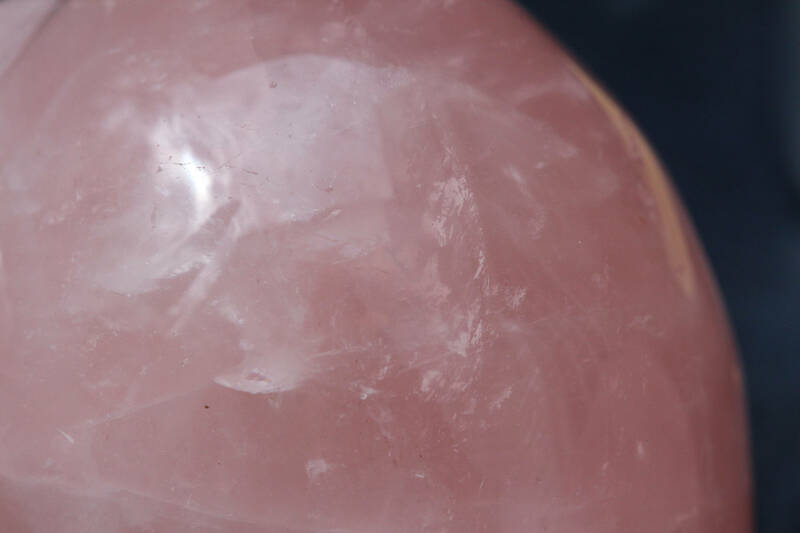 People can are torn regarding crystal skulls. They can feel incredibly drawn to them, or some do not like them at all. 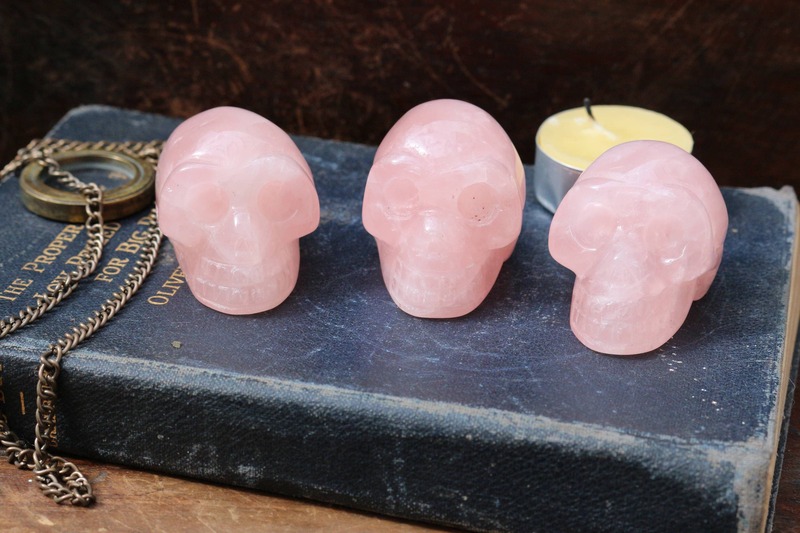 Crystal Skulls are meant to help those who feel a degree of fear about the energy associated with them. 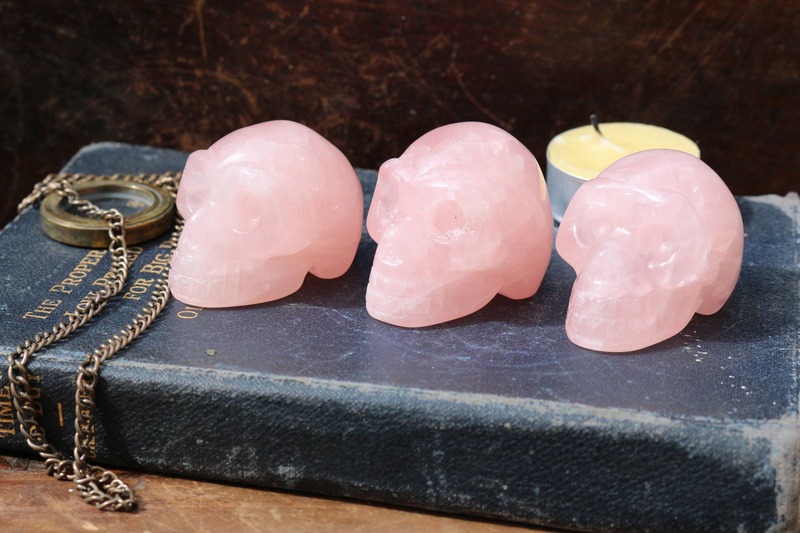 As some fear them and think they are in some way related to black magic or harmful practices such as the occult, thoughts are that the energy of a piece of crystal is changed by being carved into a skull shape and its intended use is always for positive energy. This is a beautiful piece that made a perfect gift for my daughter's birthday. She collects skulls and crystals. What could be better. Fast shipping, lovely packaging and a generous vendor made for a wonderful shopping experience as well. You cannot go wrong with So Good Mojo Co!